Yuri Biondi is tenured research fellow at the CNRS, appointed to the ESCP Europe in Paris. His research interests include theory, accounting and financial regulation, as well as the relations between economy, accounting, and finance in business and non-business entities. He is co-editor of The Firm as an Entity: Implications for Economics, Accounting, and Law (Routledge, 2007). 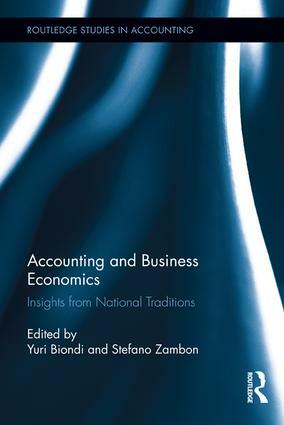 Stefano Zambon is chair of accounting and business economics at the University of Ferrara, and a visiting scholar at London Business School; ESCP, HEC, and CNAM in Paris; the Universities of Reading, Melbourne, Boston, Metz, Canterbury (NZ), Waseda (Tokyo), Bolzano/Bozen, and the Stern School of Business (NYU). He is a leading scholar of accounting and business economics in Europe and author of Locating Accounting in its National Context: The Case of Italy (2002).